After a windy night at Doble Trail Camp we were back on the Pacific Crest Trail after our break from hiking for the Kickoff. The rain we experienced at Lake Morena last Friday came down as snow in Big Bear, but the Pacific Crest Trail was clear. We were treated to beautiful views of a snowy Sugarloaf Mountain as we hiked past Big Bear Lake. The trail today was surprisingly gentle and easy allowing us to ease back into the rhythm of hiking. Deb was thrilled to encounter two open air outhouses during today’s hike. 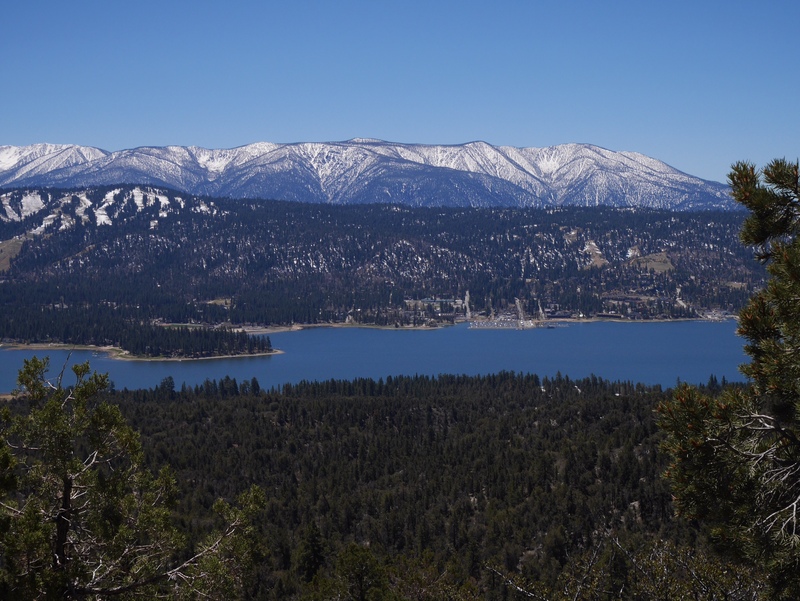 Photo: Big Bear Lake and snowy mountains. Great photograph of the lake and mouton. A prime time to be there.